Help the cosmo to fly high by swapping your fingers. The game is really simple to play. Cosmo is like a rocket-man that doesn’t fly with the help of fuel. Instead, you have to draw trampolines for it. The game is a real fun and purely addictive. Don’t stop to draw trampolines. Let the cosmo fly higher and higher. You can even take the cosmo to the stars and planets. The game costs $2.99 only. 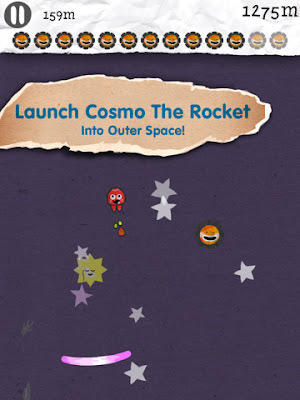 Get this game and help this little rocket to fly higher higher and higher. PhotoForge2 is really an amazing app for iPhone that you will like. 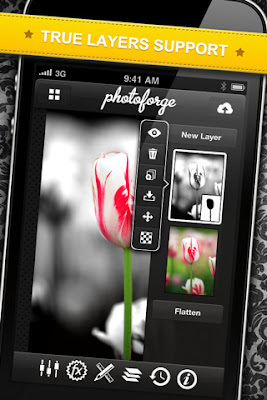 Many different tools are available to edit your photo and these tools and features make this app unique. Full resolution editing makes it easy for you to edit every pixel of your picture any time you want. Another amazing feature that this app includes is a true layer support. You can easily create another layer that you can fill with either a photo or with a color. Blend them, change the opacity to make it a really good looking artwork. If you don’t want to see any part of the feature, you can mask it as well. There are powerful adjustments like sharpness, contrast, brightness, exposure, and highlights etc that are also included in this app. You can choose from 25 filters and edit your photo on the most modernized way available for your iPhone. Crop a photo if you want and add frames and textures. You can also add GPS location to your photo easily. Make a combination by combining different filters, frames, flashes, processing paper, films and lenses to make your own camera effect. There are over 12 million combinations that can be made. Once you have done editing, you can upload your photo on DropBox, Picasa etc or you can share it with your friends on Facebook and Twitter. If you like photography than this is a must-have app for you. And if you are a beginner, you can’t get any better platform than this to start editing. Sweet candies are getting popped up everywhere. One more thing that will excite you is that you are the conductor who is going to collect all the candies. One bad news is that the track was built by someone and he failed in basic engineering. Now, it’s upto you. You have to pierce the track as well as collect all the candies on the way. You have to make out a path for your train but you don’t have all the day. You have to do it with in the given time. 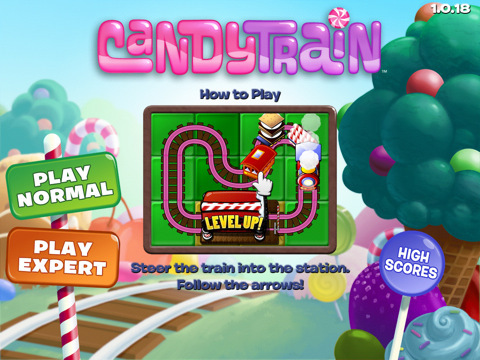 Candy Train was released many years ago and it was almost forgotten. A programmer, loved that game and thought to make this game again but this time for iPhone and iPad. She worked day and night and she succeeded. Now she is working as a Game Programmer in the company that released this game before (PopCap).